This page contains the list of lessons related to slope and y-intercept of a straight line. Each lesson consist of a math video, study tips and practice questions. We can learn a lot about a straight line by examining its slope and y-intercept. Explain in depth about the properties of the slope of a line and how to calculate it. Show what are y-intercept and x-intercept of a line. 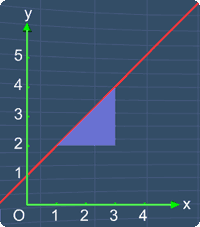 Show that equation of a straight line can be in slope-intercept form. Show how to determine the equation of a straight line. Show how to determine the equation of a line that is parallel to the x-axis or y-axis.